When lives are on the line, it’s critical to have the right equipment that will perform when you need it the most, regardless of the circumstances. Spending $1,000+ on a two way radio may seem like a significant investment, but the quality and features of a radio of this caliber go well beyond your standard small business or industrial walkie talkie. Designed for the most rugged and extreme environments, from oil rigs and deep underground mines to the front lines with emergency responders, our high performance two way radio solutions means you’ll be able to communicate with certainty when you need it the most. Half the weight of a standard radio and an excellent choice for covert applications, the SL7550 model is incredibly compact – close to the size of a pen in height. It features a large high-definition display, intelligent audio that automatically adjusts radio volume according to the environment’s noise level, and text message capabilities. This radio uses a compact Li-ion battery and an auto-connector port to support discrete accessories. Reliable communication is extremely important in hazardous working environments. The XPR7550 radio was designed specifically for safe communications in the most volatile situations. The XPR7550 radio features large buttons, robust volume and channel knobs for ease of use without having to remove safety gloves; day/night mode to preserve workers’ vision in low light condition; a prominent, one touch emergency call button; Intelligent Audio that automatically adjusts volume levels depending on background noise and Bluetooth capabilities. For customers that value safety and are working in explosive gas environments, with combustible dust, and chemical vapours, demand a tough two way radio that meets the Canadian Standard Association Intrinsically Safe (CSA IS) Rating. The XPR7550 CSA IS version of this radio is fully intrinsically safe and has the highest, most stringent CSA rating possible. In addition, the XPR7550 CSA IS radio has the highest power (4 Watts – UHF) in the market. All the XPR7550 radios have been put through their paces to ensure its durability, functionality, and safety. A full line of heavy-duty accessories are available for each model. 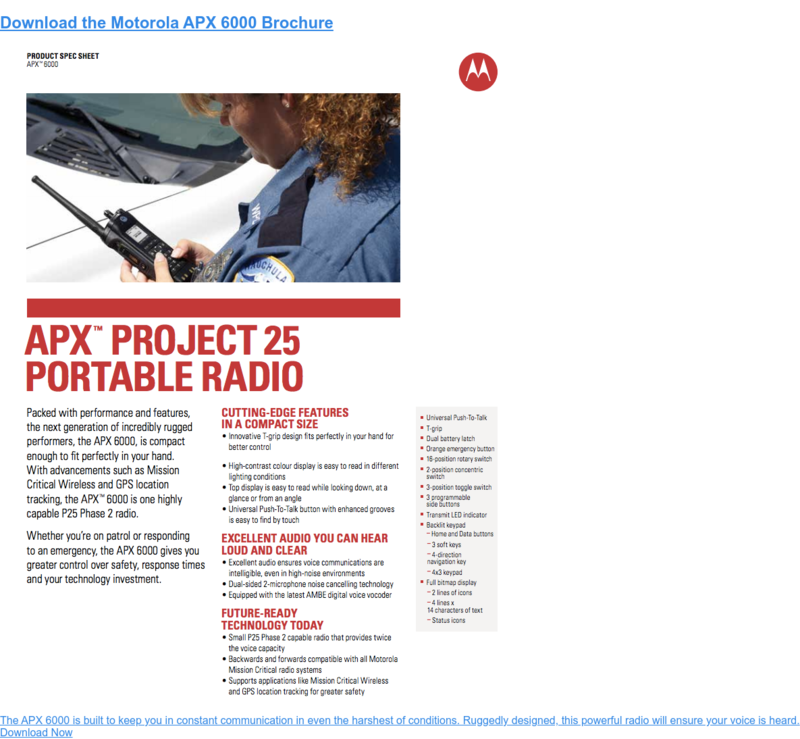 Using Project 25 (P25) advancements, Motorola two way radios lead the industry in mission-critical communications. These devices are built tough and are some of the most inter-operable radios on the market. The APX series is slated as the replacement series for the XTS models. In emergency situations, communications is a mission critical function. Motorola created the APX mission critical series to redefine safety in portable communication. The APX Series of 2 way radios ensure that when disaster strikes, you have the ability to answer the call and be heard, regardless of the situation. 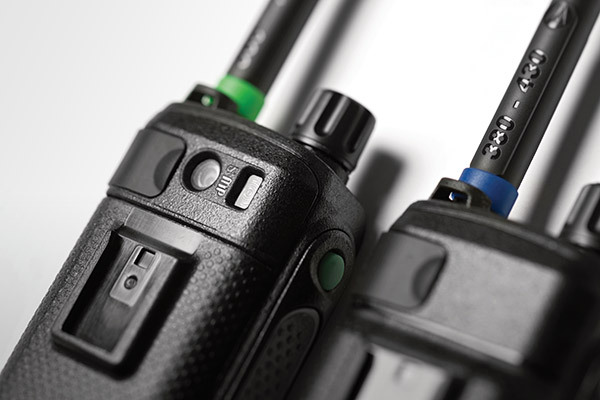 With some models featuring dual band capability, the APX series possesses significant advantages for critical situations, including best-in-class audio technology that adjusts automatically to environmental conditions, tamper proof encryption for secure communications and the ability to accommodate Bluetooth and other applications. When it comes to providing communication devices for emergency and high-demand situations, we can help you find the right two way radio to meet your organizations needs. Nova Communications provides wholesale 2 way radios to a variety of high-performance industries as well as non-mission critical solutions to businesses of all sizes. 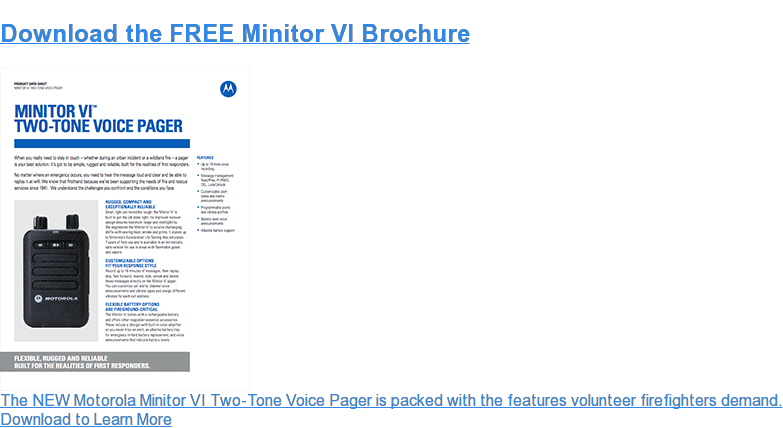 Get in touch with us today for more information about our comprehensive solutions, toll free at 1-877-721-7070 or, download our FREE Portable Two Way Radio Selection Guide for information on how to determine which 2 way radio is right for your business.